If you’ve ever wondered how updating your glass could make a difference to your business, look no further than The LOT in Liberty Station, Point Loma. 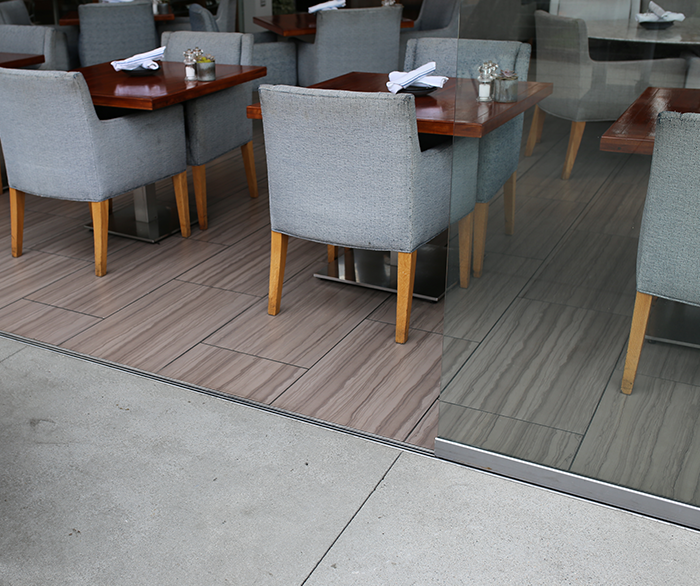 Cover Glass recently worked to transform the restaurant portion of the movie-culinary combo business. 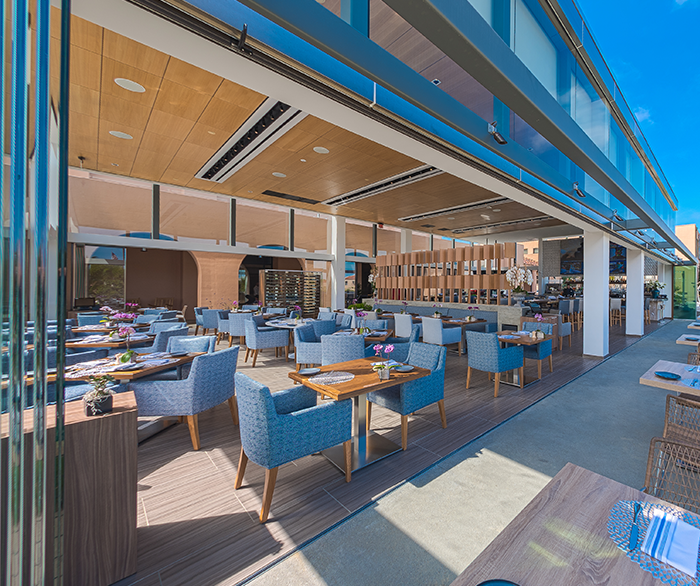 It no longer matters whether you choose to dine inside or out — the two areas are completely connected when the sliding glass doors are open. Better still, all the panels stack together and fold to the side, maximizing the space. 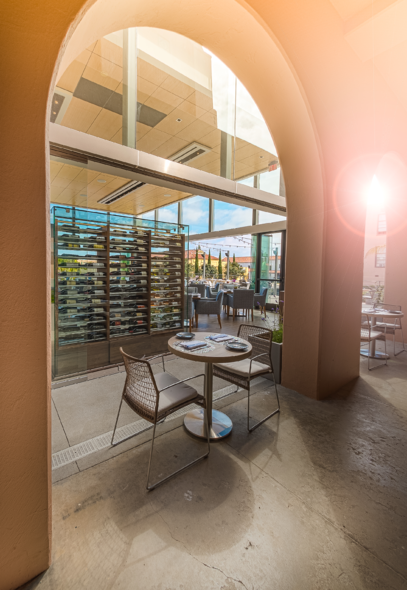 The restaurant also uses interior glass in the same style. When closed, this glass wall creates a separate room for privacy; when open, it expands the main room. Even when the door is closed, plenty of natural light is able to enter, helping the space feel larger. To create fluidity in the design, The LOT incorporates glass into more areas. 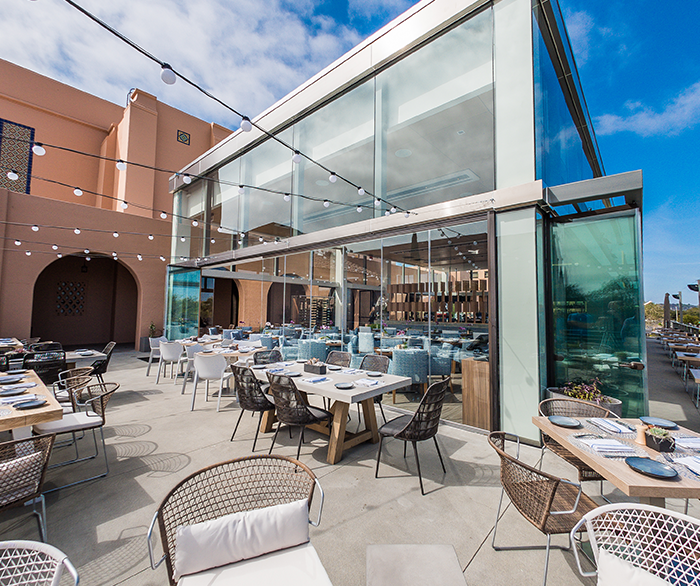 Our goal was to help breathe life into the restaurant, while create a seamlessly connected environment that takes advantage of Liberty Station's beautiful scenery. Unlike bottom-rolling systems, Cover Glass sliding doors feature recessed tracks, meaning that there is nothing to step over when moving from inside to out. This is more comfortable for patrons and it lowers the risk of accidents. 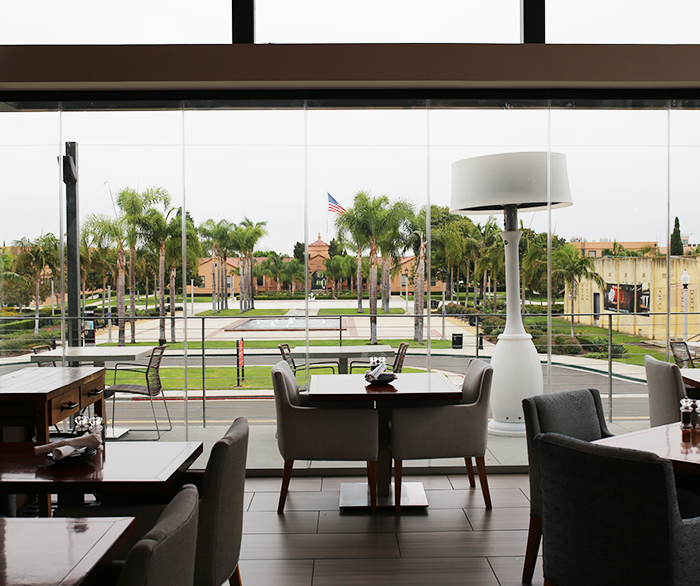 Now, no matter where you sit in the restaurant, you’ll enjoy great views. As the glass is frameless, nothing obstructs the scenery. This is particularly ideal in a place like Point Loma, where the weather is perfect almost all year round. Our clients can customize aspects of their sliding glass doors like the frame and glass color. Owners of The LOT chose a grey frame to match their decor. They opted for clear glass, meaning when the panels are partially closed (as in this picture), it is barely noticeable. The balcony is the perfect size to host a length of tables. Without a sliding glass system where the panels stack out of the way, however, space would be more limited. 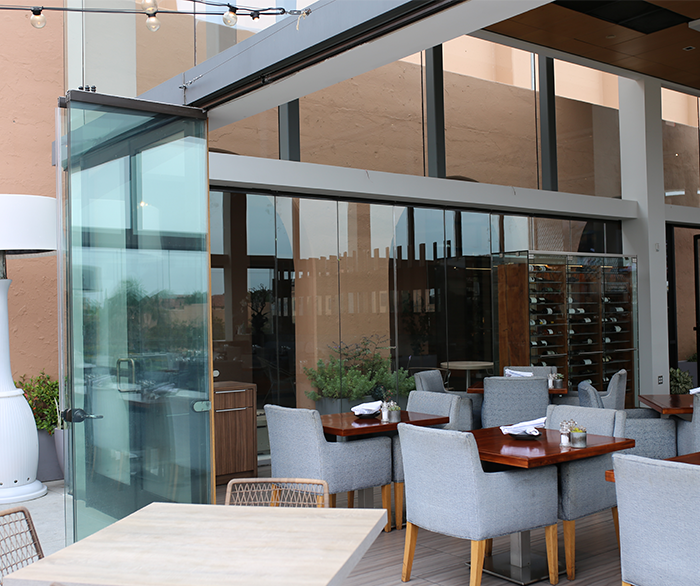 In fact, the owner could have chosen to stack the glass to the inside or to the other end of the balcony if that would have better suited the restaurant layout. There’s no need to have as much space as The LOT to take advantage of Cover Glass. Your business doesn’t even need to be a restaurant — our solutions work for all sorts of building types. 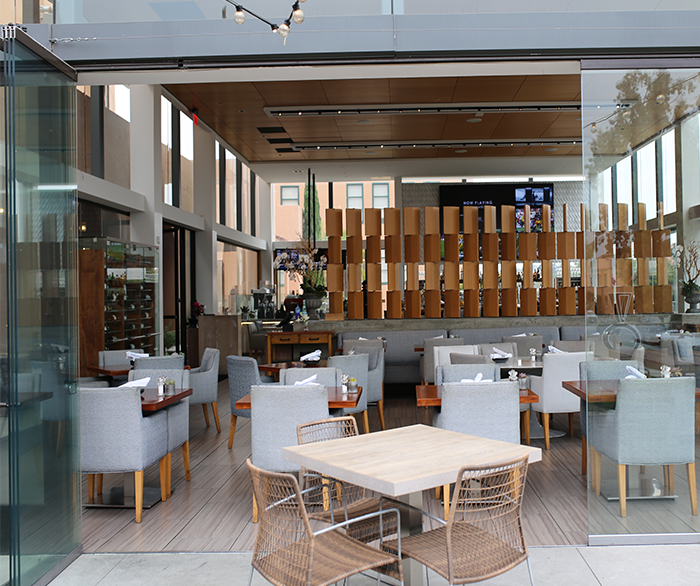 With Cover Glass, you enhance the experience for your clients and employees alike.